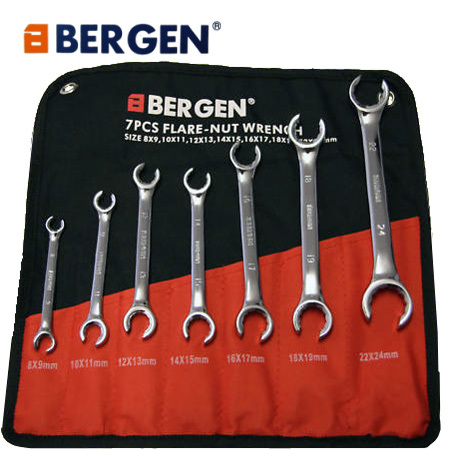 Bergen Tools 7pc flare nut spanner. This flare nut wrench is professionally manufactured using drop forged steel. Fully heat treated for durability and strength. 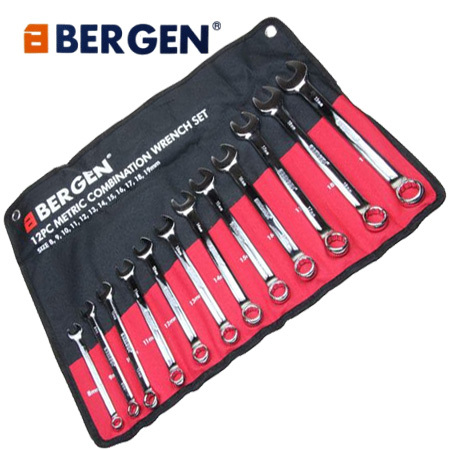 The spanners are highly polished allowing for an easy clean after use. The flare spanner set is complete with a canvas roll (picture) for the safe storage of the spanners when they are not in use. The roll also has two very strong metal grommets on the top corners to allow for hanging on the workshop wall. Customers please note that the storage roll is now blue.